Renewable energies, and photovoltaic plants in particular, are the United Nations’ great hope for meeting one of its Sustainable Development Goals by 2030: universal access to affordable, reliable, sustainable and modern energy. The fact that well in the 21st century there are still over one billion people on the planet without access to electricity is not only surprising, but deeply worrying. This figure, published in ‘2018 SDG7 Tracking: The Energy Progress Report’ put together by the International Energy Agency (AIE), the International Renewable Energies (IRENA), the United Nations’ Statistics Division (UNSD), the World Bank and the World Health Organisation (WHO), means that 13% of the world’s population lives without electricity today, just 12 years short of the deadline set by the WHO to meet these goals. This makes it seem unlikely, if not impossible, that the target of energy for all will be reached. The authors of the report themselves assume that, at the current rate of expansion of electricity supply, by the time we reach 2030 8% of the people on this planet will still continue to lack access to a modern form of energy. Even so, the bodies that commissioned this research have not lost hope and are calling for redoubled efforts to extend renewable energy to those parts of the planet with the worst energy deficiencies, as in the case of Africa. 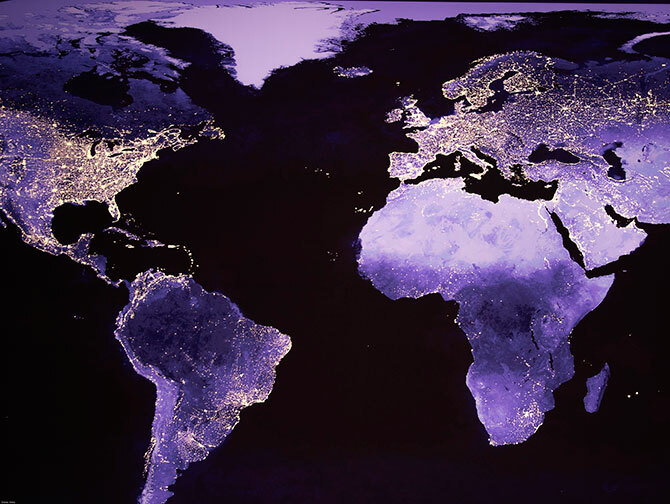 The continent is home to a little over half the global population that is without electricity -600 million people -, but several countries in the region have been making significant progress over the last few years in overcoming this deficiency. Kenya’s electricity policies between 2010 and 2016 succeeded in increasing the proportion of citizens with access to electricity by 6%, bringing the percentage of the population that enjoys this service up to 56%. Kenya is in fact one of the countries where ALTEN Energías Renovables is most active, with projects for three photovoltaic plants at the development stage. The first, Kesses 1, is in the municipality of Eldoret, Kenya’s fifth largest city by population. Building work will start shortly and the electricity supply will be available by the end of 2019 or early 2020. At the same time as work progresses on Kesses 1, ALTEN Africa is also working on developing two other power plants, Kesses 2, in the same region; and Timau, near Mount Kenya. These three projects will make a real difference in Kenya, providing thousands of citizens with access to a modern, affordable, reliable and sustainable source of energy, as laid down in the UN’s Sustainable Development Goals. Namibia is another African country which has managed to improve its energy production significantly over the same period (2010-2016), with 52% of its citizens benefiting from electricity by 2016. It has one of the best electricity infrastructures in the region and a significant level of electrification, but also depends heavily on imported energy, which is why it has made a concerted effort in solar power. The Namibia Power Corporation, the country’s public electricity company, awarded a tender to ALTEN Africa for the development, construction and financing of a 45.45 MWp photovoltaic plant, occupying a land area of 100 hectares. The plant, which will be operative in September this year, is in the Hardap region, in the municipality of Mariental, to the south of the country, 230 kms from the capital, Windhoek. As well as Kenya and Namibia, ALTEN Energías Renovables is also running a major project in Nigeria, where only 59% of the population has access to electricity, according to data from 2016. This means that over 90 million people in Nigeria still do not have electrical power. 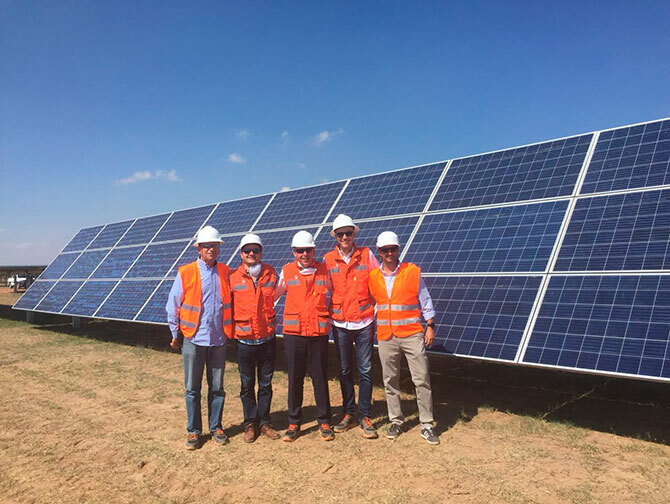 ALTEN Africa is developing a 140 MWp PV plant in Nigeria, in the state of Kogi. The plant will be located on an industrial estate on the outskirts of the city of Lokoja, about 155 kms south of Abuja, the country’s capital and one of Nigeria’s most populated cities, with 1.2 million inhabitants. Once it is up and running it will give a huge number of families access to electricity, as well as providing energy to support the area’s growing economic development. Thanks to the efforts made to give their populations access to power, none of the countries mentioned above is on the list of the 20 least electrified nations in the world. But two of the countries in which ALTEN plans to develop PV projects are on that list: Mozambique, just 24.2% of whose citizens have electricity; and Zambia, where the rate is 27.2%. ALTEN’s business activity, working to provide clean energy, is aligned with the United Nations’ Sustainable Development Goals. PV energy has proven that it is the undisputed benchmark in developing countries. In 2017 it set new records in supply and also in investment; in a context of continually falling costs and major technology innovation in this sector, this makes solar energy the go-to option for reaching one of the Sustainable Development Goals: that 100% of the world’s population should be able to access affordable, reliable, sustainable and modern energy.